West Dave is a maker of Nixie Tube Clocks. 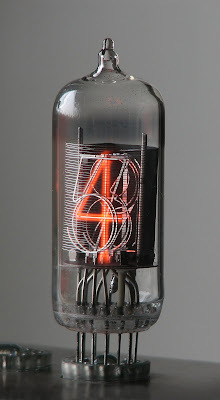 What's a Nixie Tube, you might ask? Wikipedia, as always, gives up their secrets: Introduced by Burroughs in 1954, Nixies were used as numeric displays in early digital voltmeters, multimeters, frequency counters and many other types of technical equipment. They also appeared in costly digital time displays used in research and military establishments, and in many early electronic desktop calculators. 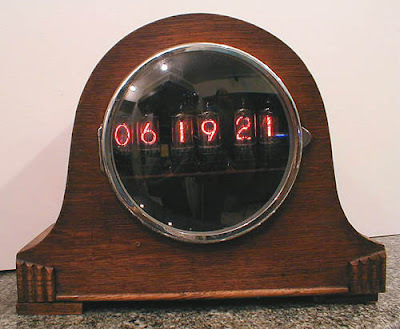 Nixie was derived by Burroughs from "NIX I", an abbreviation of "Numeric Indicator eXperimental No. 1". 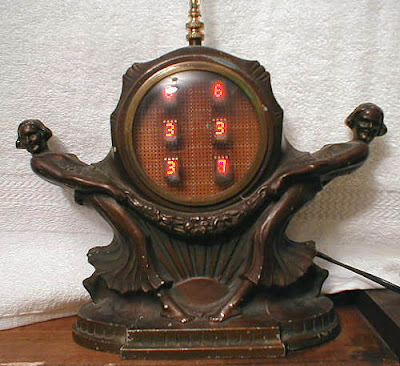 Above: LEDs indicate the hour around the perimeter of the clock, with Nixie tubes indicating the minute and second. 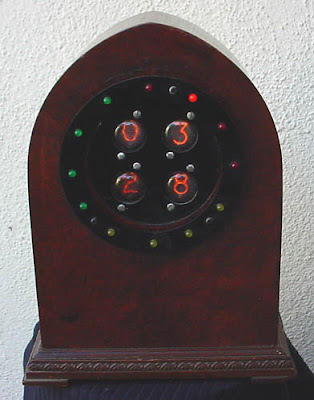 Below: An Art Deco clock case refitted with Nixie tube numbers. The clocks shown here are all by West Dave, but you can easily find Nixie Tube Clock kits online and on eBay to make your own. I am enthralled with these designs! Such great Steampunk work. Thanks for the post. On "The lost NY Times Steampunk Feature"